There were great things on the blogs this week and I have to give some major props. Here is my "Hey! You're awesome!" round up of things that made me look twice. 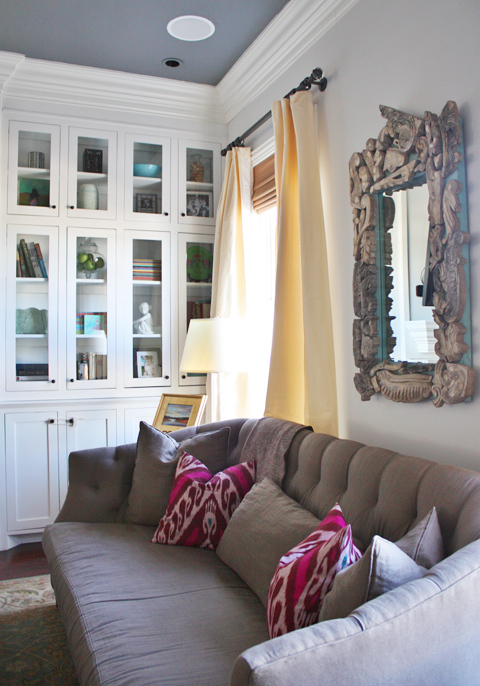 Sherry shared an update of her ah-mazing guest room. I couldn't stop staring at it! Chassity shared her home on Made By Girl. 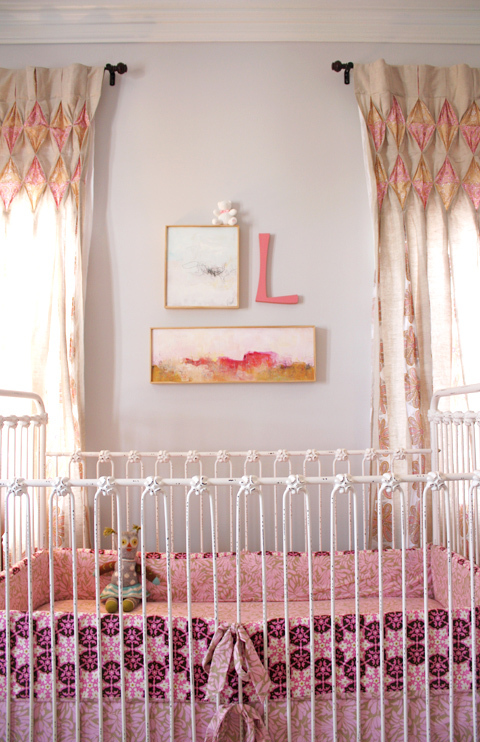 I was smitten with her nursery, her den and her entry. Nicole's kitchen made me stop in my tracks on her blog Me Oh My! That chandelier!! Have you noticed pink is EVERYWHERE now and I love it! (Remember I painted my office pink, so yup I'm a fan). 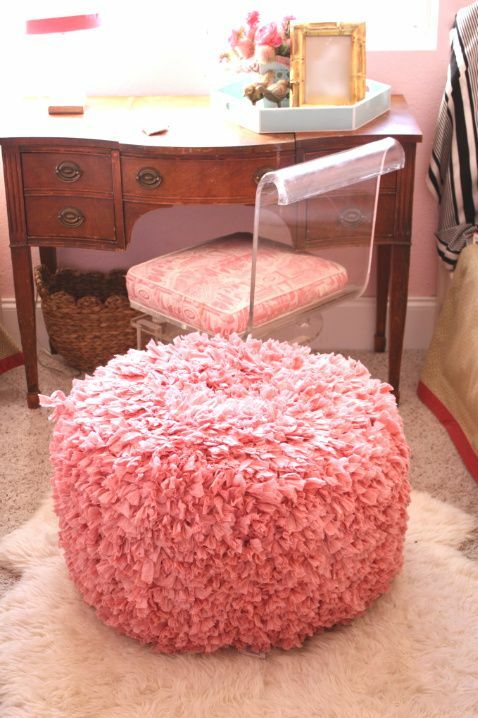 What little girl wouldn't love this big pink pouf from Full House?? What an inspiring roundup--I am off to study them in detail!! I had all these people commenting yesterday that they were coming over from your blog and I tilted my head like a dog when you talk to them......Thanks for the "holler" Bryn. And still....those lucite chairs. It makes me want to buy a kitchen table just so I can use them! i love all rooms especially the kitchen!!! and that pig pink pouf is amazing. people are so inspiring. these all rock. Oh so fun to learn about new blogs! That kitchen is WONDERFUL! 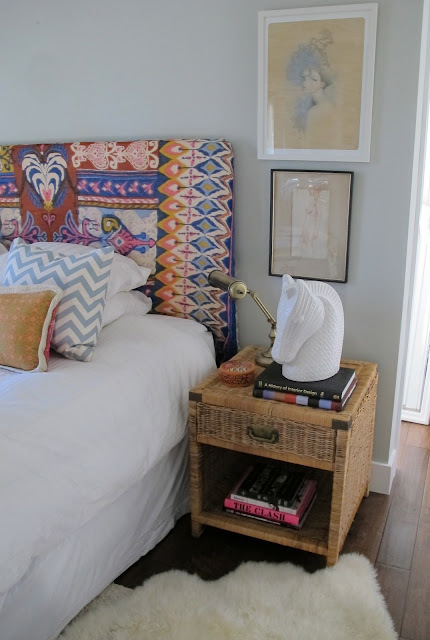 Am loving all the different textures in that guest bed shot, so awesome. I love that kitchen - the chandelier is awesome! Thanks for sharing!! I love all the rooms, but that kitchen makes my heart skip a beat!! I love the way it it styled with that cute little baby! I love the boldness of that headboard! And yes, Chassity's place is filled with yummy pieces. 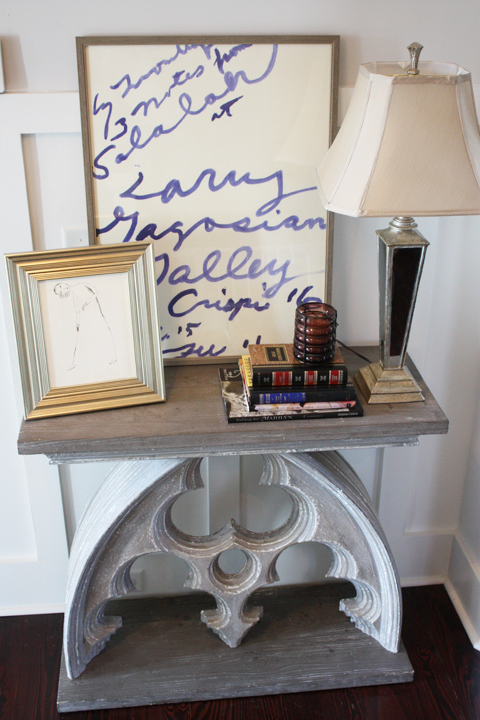 I just love that console table. I don't know if its just my wonky computer, but the link to Amber's blog took me over to Sherrys? Chassity's home tour really stood out this week. I think her nursery might be the best I have seen to date! I also love her grey ceiling. Sherry is a long time favorite and I love everything she does! Great post! 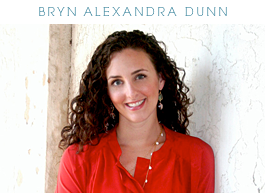 Thanks so much for the love, Bryn. Happy weekend!